Taylor Street Ovens is a unique neighborhood bakery and deli that features home-style cooking and provides baked goods and catering delivery. 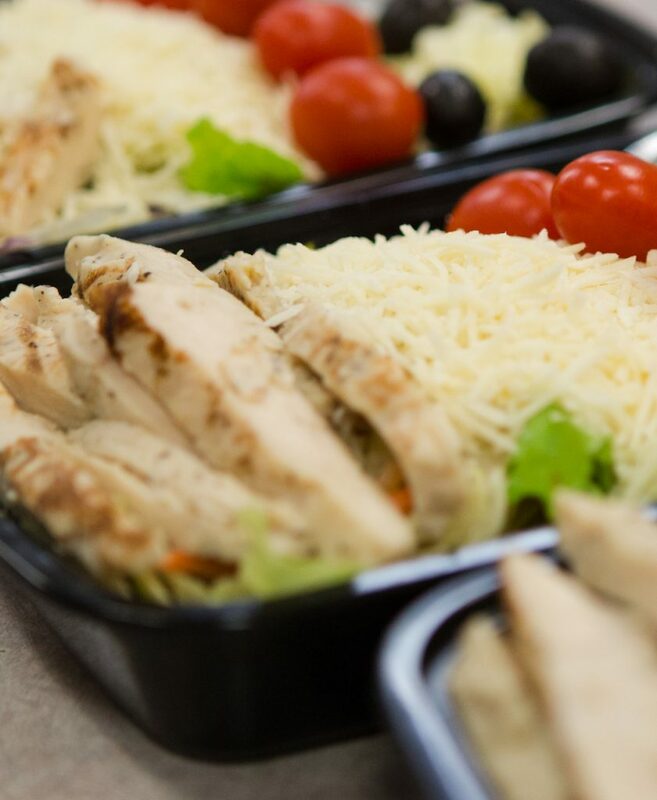 We use only quality, fresh ingredients to create sophisticated deli items, salads, desserts, pastries, breads, and many other wholesome foods for dining in or taking out. 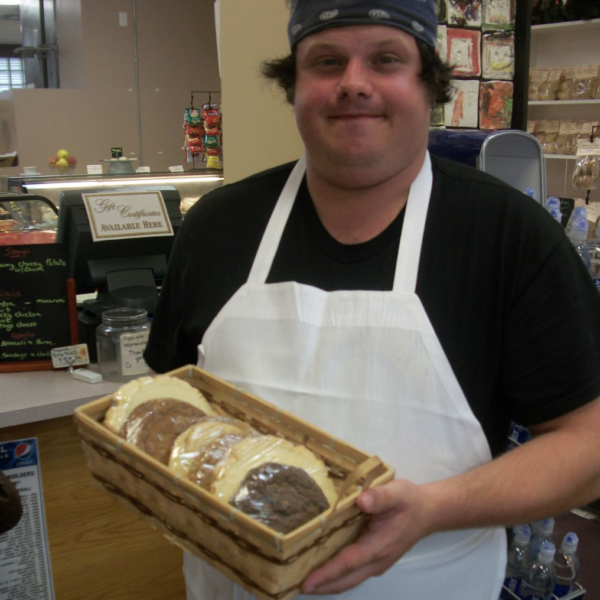 With a full bakery and deli menu, interest in our delicious products has grown and grown. 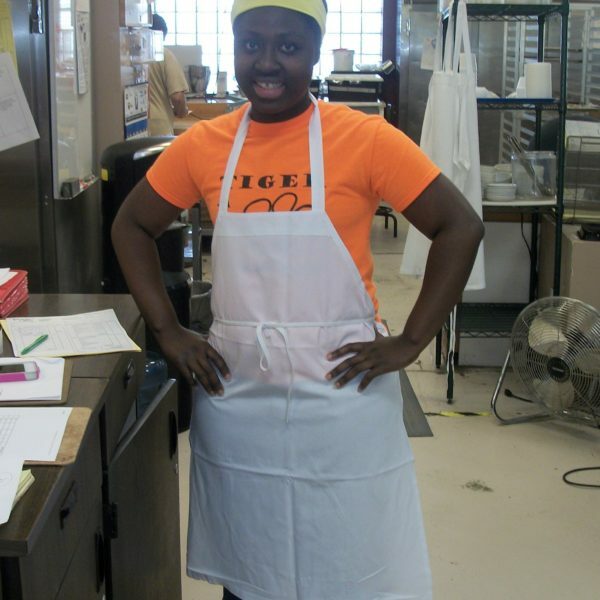 Best of all our growth has meant that more Associates can participate in our Vocational program. 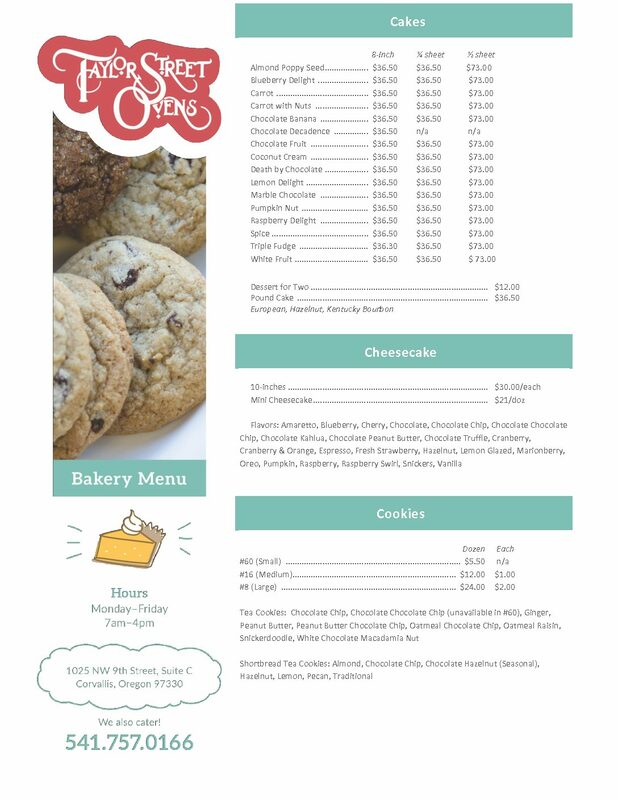 Recently the Corvallis Gazette–Times ran a feature which recognized 50 iconic objects to be found in Corvallis, and it was no surprise that our cookies were featured. You can find them at our bakery, at many regional Market of Choice stores. All of our delicious products are available on our catering menu for your next big event. Hungry for lunch? 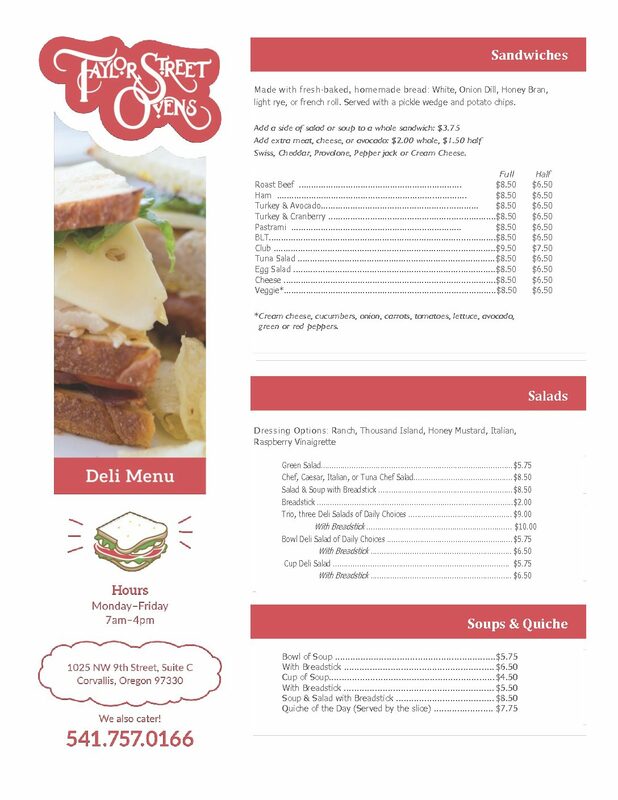 Check out our deli menu and order ahead or just stop in. 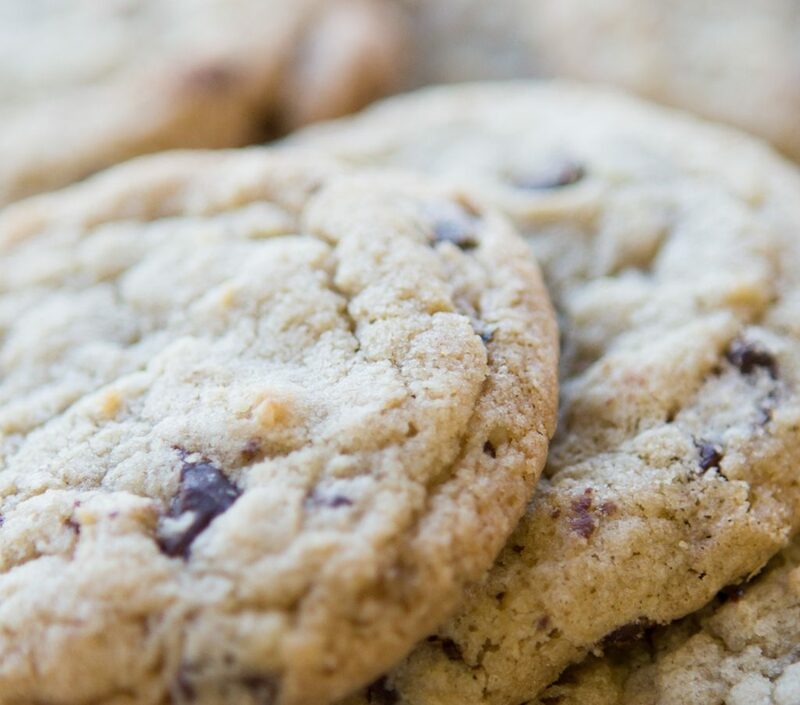 Our pies and cookies are just what you need to cure that sweet tooth. Hosting an event in Corvallis? Hire Taylor Street Ovens to cater it. 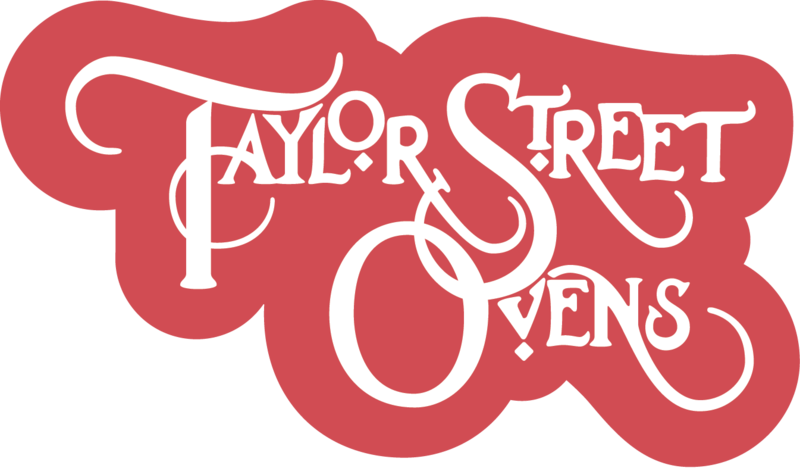 Taylor Street Ovens baked goods are sold at our store in Corvallis as well as grocers throughout the Willamette Valley. Interested in having Taylor Street cater your next event? 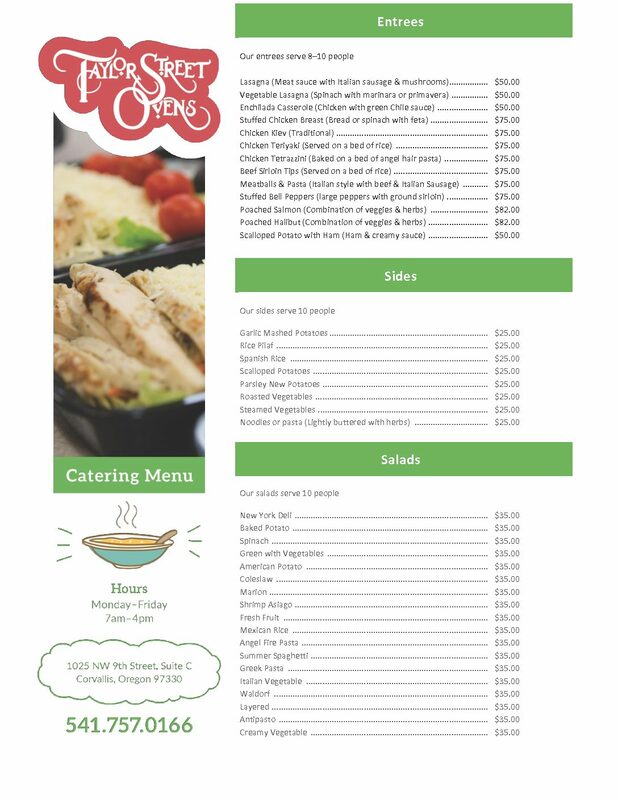 Request info regarding catering items through the form below.